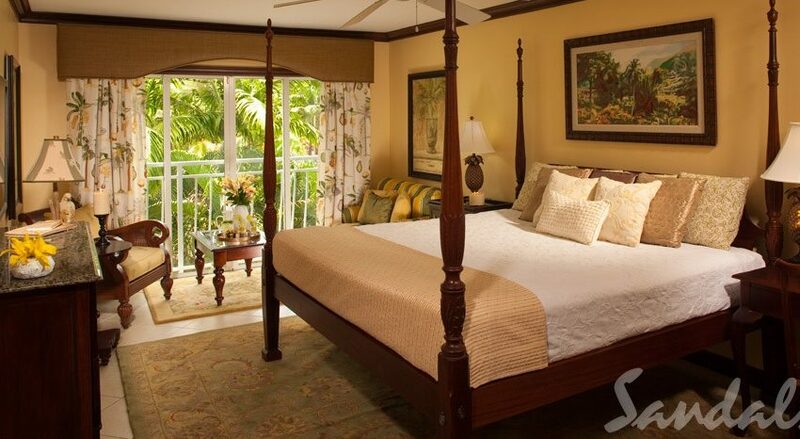 Welcome to the very romantic Sandals Regency La Toc, St. Lucia. The “Emerald of the Caribbean” glitters invitingly along the half-mile crescent shaped beach, cradling exotic coral bluffs, lush hillsides, and rolling fairways. This magnificent 210-acre estate features Sunset Bluff Village, a resort within the resort, flaunting breathtaking vistas from bluff-top villas with private intimate pools. Indulge in Five-Star Diamond French cuisine and other tantalizing cuisine from around the world at nine spectacular restaurants. 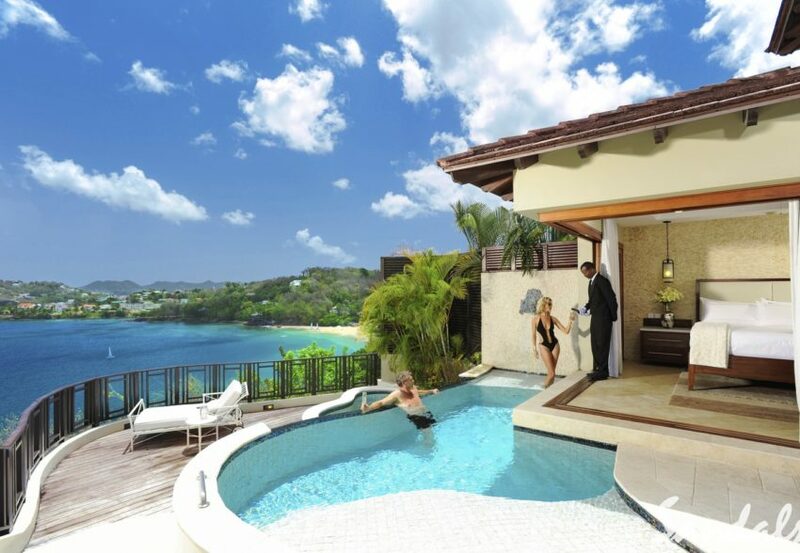 In St Lucia, you get a mega-vacation that includes three resorts for the price of one. 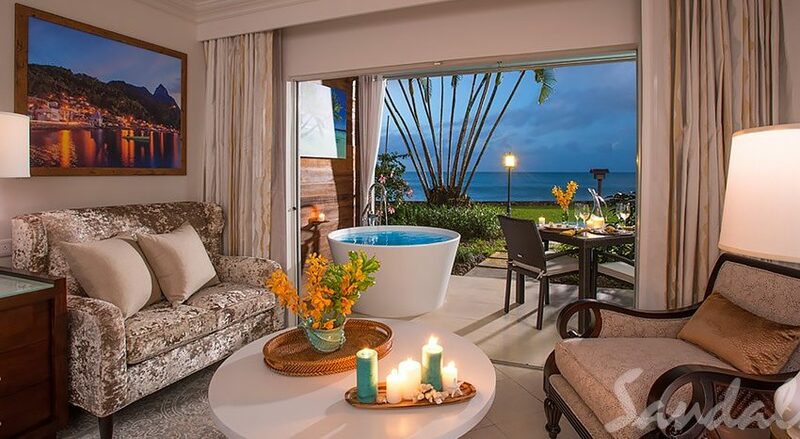 Experience all the restaurants, all the beaches and every amenity. Plus, round-trip transportation is included between resorts. Guests staying at any of our St. Lucia resorts can enjoy free green fees and complimentary transfers to two challenging golf courses perfect for all levels of play. The 9-hole Sandals Regency La Toc Golf Club, which features 3,300 yards of narrow fairways and rolling hills. And the 18-hole Sandals St. Lucia Golf & Country Club at Cap Estate, which features 6,744 yards of sprawling green slopes.